At the risk of getting overly dramatic, your life is about to totally, completely, irrevocably change. That's because the trend that has swept the nation from Brooklyn to West Hollywood is now being embraced on our awesome streets. We're talking about the mobile food truck. This weekend, there will be one. By the end of the year—there could be thousands. It's sort of like that movie Outbreak, only tastier. And with less Cuba Gooding Jr. 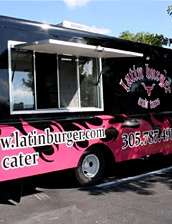 Initiating the citywide food truck explosion is Latin Burger and Taco, Miami's first gourmet food truck, here to shower you with high-grade, four-wheeled burger and taco sustenance. 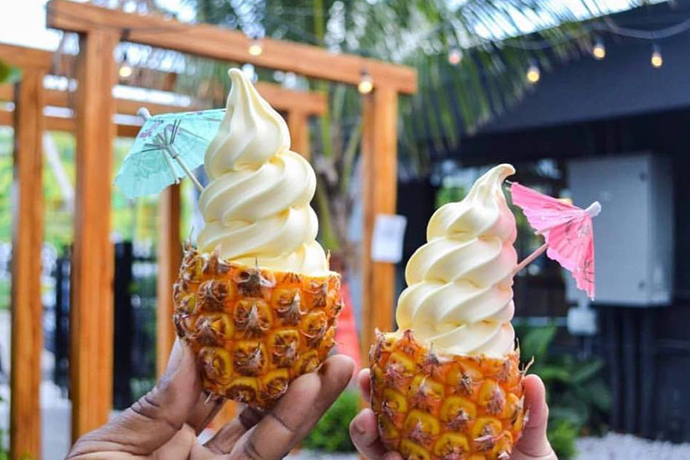 Alert your neighbors, friends, coworkers and anyone you care about: beginning next week, Latin Burger and Taco—the brainchild of Food Network chef Ingrid Hoffmann—will be making the lunchtime rounds in Miracle Mile, CocoWalk and Lincoln Road. And later, you might spot it popping up outside Nikki Beach at 1am, or near Mansion at half past 2. Its goods: undeniably juicy burgers for $5.75 like the Latin Burger, a blend of ground chuck, chorizo and sirloin, topped with melted Oaxaca cheese, caramelized onions and red-pepper mayo, and night-completing $2.50 tacos like the Chicken Tomatillo Taco. To find this black-and-pink food chariot, you can follow its rumblings here, on its Twitter page.